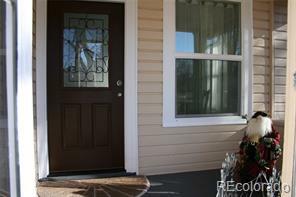 Delightful, updated 2 bedroom cottage sits on a beautiful lot in desirable, Old Town Longmont. Inviting living spaces with beautiful wood floors, an abundance of natural lighting, cheerful kitchen w/ new granite counters and a heated laundry/mud room that is added to the square footage of the home. Remodeled bathroom, new carpet, paint, furnace and water heater. 4 blocks to downtown Main Street, dining, shopping and entertainment. Move in ready and quick close possible!